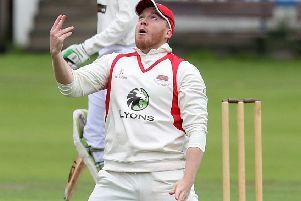 Paul Stirling led Ireland to a 15-run victory over Oman in the opening match of their Twenty20 Quadrangular Series on Wednesday. 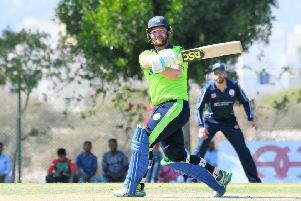 Making his debut as T20 skipper, Stirling struck 11 fours and scored 71 runs from 51 balls to steer his team to 159-5 at Al Amarat. The home side made a strong start to their run-chase but collapsed from 70-3 to 92-7 as Ireland all-rounder Simi Singh took three wickets in an over. ball) and Peter Chase, put the game beyond doubt and Oman finished on 144-9, giving Ireland victory by 15 runs. “I think we just about got a competitive total on the board. “There was a lot less grass on the wicket than over the last few days - so it wasn’t too bad a toss to lose. “The captaincy has been good fun, but I’m just happy we got across the line today. “We didn’t really know what a good score was going to be. “In terms of the tournament, the challenges keep getting harder and harder. We know what Scotland have got, and on their day - just like when they beat England the other day - they can be a real powerhouse. In the other tournament fixture yesterday, Netherlands defeated Scotland by seven wickets off the second last ball of the match (scorecard). Ireland’s next match is on Friday against Scotland, with a start time of 9.45am(GMT).